INL – International Iberian Nanotechnology Laboratory is hosting the INL – ERC Summit 2019 on the 8th and 9th of April, a two half-day event designed to join all European Research Council (ERC) grantees from Portugal and Spain, from the past 5 years (2014 – 2018) in the same place, irrespective of discipline and kind of ERC grant. 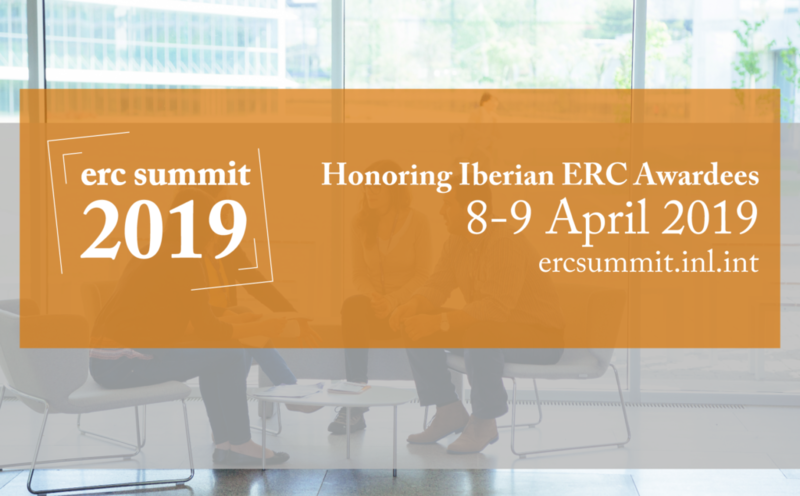 ERC Summit 2019 will count with the presence of the EU Commissioner for Research, Science and Innovation Carlos Moedas, the ERC President Jean-Pierre Bourguignon and the two Iberian Science Ministers, Pedro Duque (ES) and Manuel Heitor (PT). The idea of joining all ERC grantees was shaped during the latest Iberian Summit, in Valladolid, November 21st 2018. The Science Ministers from both countries agreed that INL, in Braga – Portugal, given its intergovernmental status, would be the perfect venue to hold such a relevant and symbolic event. This will be an excellent opportunity to highlight the importance of Innovation, foster translation from the labs to the market, identify common challenges and synergies, and also create a connection with the Society. This event will provide the opportunity to participate in discussions, in topics of common interest, and share experiences, challenges and suggestions for future actions. This event also aims to hear about the future funding priorities for scientific research, technology and innovation, both at Iberian and European levels. The experiences and lessons learned from all attendees will be of paramount importance for this event’s objectives. Together we can achieve more and turn the Iberian Peninsula into a true reference point of scientific research and innovation excellence, at global level.